Thank you Juan! 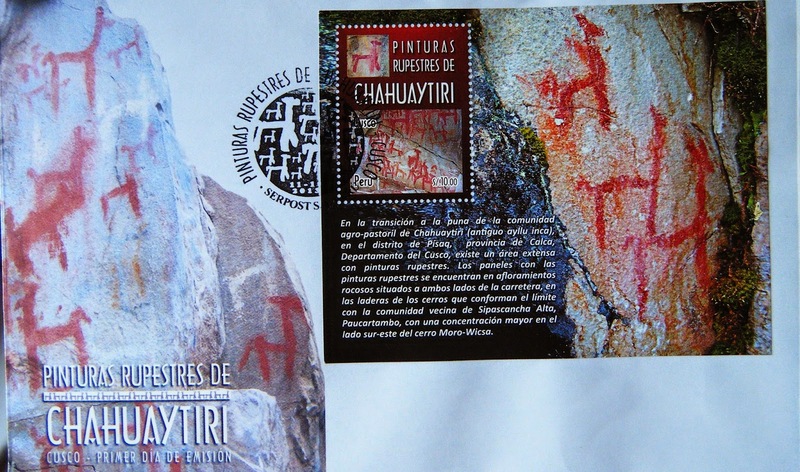 FDC of Chawaytiri, the archaeological site with pictographs of mostly llamas, painted on a sandstone exposure. While this site is believed to date to the Inca Empire, this place was used as recently as 80 years ago by local farmers for fertility rites. Issued: October 11 2013.